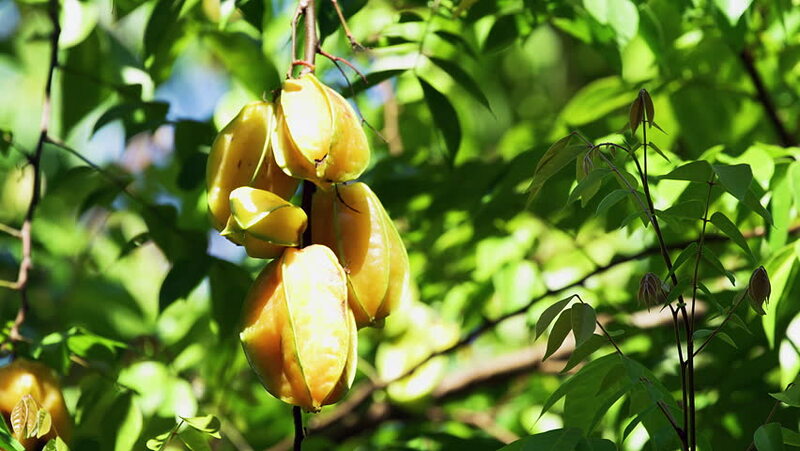 A locked down cinematic shot of a ripe bunch of beautiful starfruit or carambola (Averrhoa carambola) sit in the tree, ready to be picked. 4k00:10Yellow pears on branch. Sunshine and tree leaves. Fruits grown without pesticides. Ripe, sweet and juicy. hd00:06Picking apples in the garden.